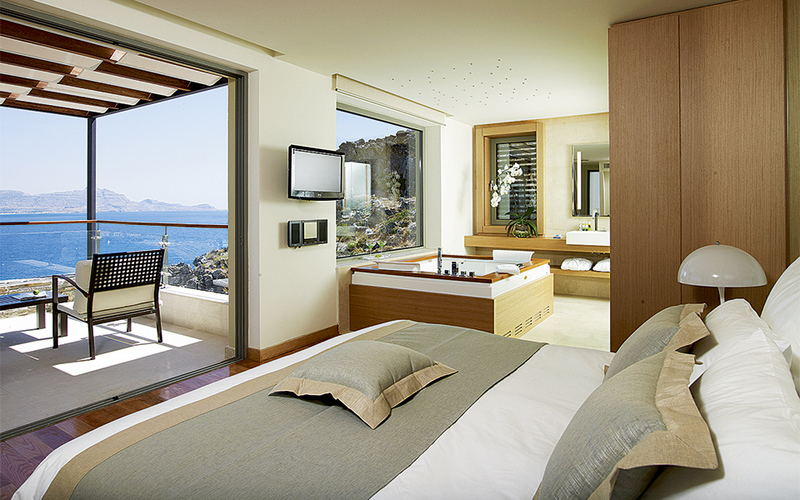 An adults-only resort in Rhodes, where chic elegance meets unparalleled charm and indulgence. 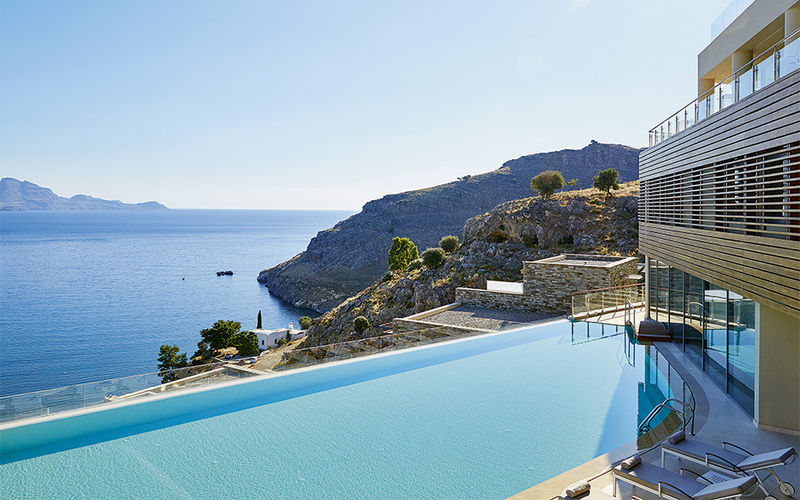 Built on the the slopes of a hillside overlooking the picturesque Vlicha Bay the 5-star Lindos Blu Luxury Hotel & Suites is a peaceful retreat that promises thorough pampering and total relaxation on the cosmopolitan island of Rhodes. Unique architecture and minimalist yet opulent interior design, together with impeccable, personalized services, create an ideal setting for idyllic couples’ holidays near Lindos. The sophisticated hideaway, a proud member of Small Luxury Hotels Of The World, features a series of terraces that lead down to a Blue Flag-awarded sandy beach. 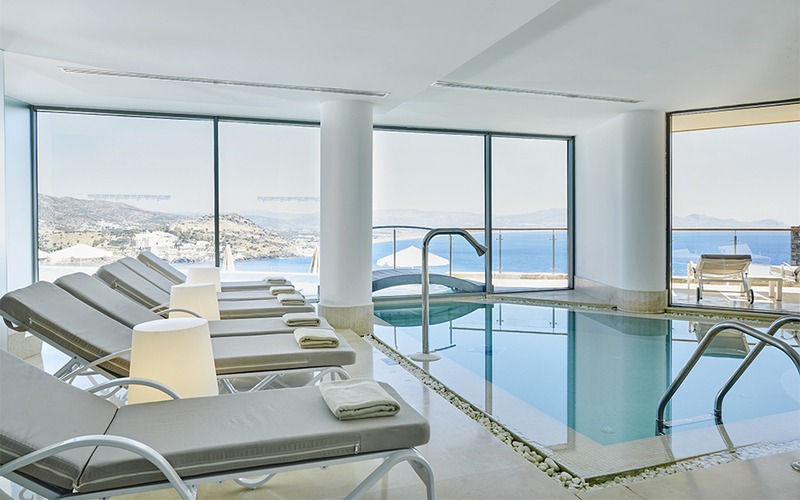 The hotel features villas and maisonettes with private pools, two outstanding restaurants, a penthouse sun-terrace, indoor and outdoor pools and an indulgent spa. Seemingly chiseled out of the rocky landscape and with the elements of water, air, earth and wood all incorporated into its design, the complex feels modern, light, spacious and welcoming. A small stream carries positive ‘chi’ through the center of the hotel from the hills above, down to the azure sea below.